While some might have found the cancellation of a network TV series a cause for bitterness or resentment, Stewart Lee seems to have found it energising and refreshing, judging by recent interviews. And if reviews of his Content Provider tour – which returns to Newcastle’s City Hall from Thursday 18th until Friday 19th May – are anything to go by, this is evident in the quality of his stand-up work too. Recent tours were often used to road-test material before it was used in his BBC2 Comedy Vehicle series, and the shows would have an episodic structure as he worked on specific sections. As great as these shows were, his strength was always in the long form performance, planting small ideas throughout that would reappear in brilliant form later in his set (his last tour in this vein was way back in 2011 with Carpet Remnant World). He’s also spoken of killing off ‘Stewart Lee’, the snarky, audience-baiting persona he’d created over recent years. The promoters are at pains to point out that these new dates will contain “very similar material” to that which he performed on the same tour back in November, but seasoned Lee watchers will appreciate that no two shows are the same, and it’s often fascinating to see how the central content of a performance will be revised and sharpened as it develops. 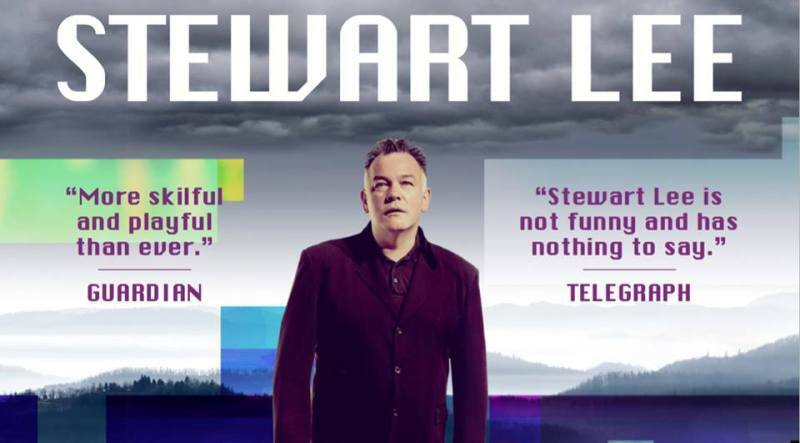 Stewart Lee is at Newcastle’s City Hall from Thursday 18th until Friday 19th May.